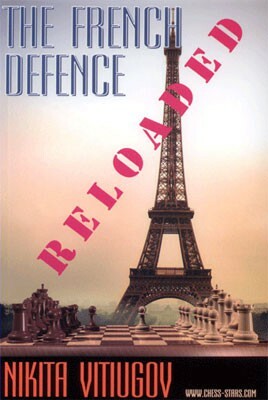 Produktinformationen "Vitiugov, The French Defence reloaded"
Here are Vitiugov's own words: I received, quite unexpectedly, many comments and opinions following the publication of my first book on the French Defence. These were quite varied, both in form and content. There were renowned experts, who pointed out that some of the variations were not analyzed to perfection. Some meticulous readers looked for, and found (! ), possibilities for both sides, which I had omitted in several important, and even not so important, lines. There were people who criticized my rather ambitious concept, according to which I tried to present the opening the way I saw it, instead of just following the branches of the database. However, there were also some appreciative comments. Chess develops so rapidly that writing a book devoted to opening theory which will be valid for a long period of time is "mission impossible" nowadays. What was fashionable a year ago quickly becomes outdated, while some dead and forgotten variations rise from the ashes. Nevertheless, I believe that the foundations which I laid eighteen months ago can be enriched with new variations and ideas, while the essence remains the same." Weiterführende Links zu "Vitiugov, The French Defence reloaded"
Kundenbewertungen für "Vitiugov, The French Defence reloaded"